I'm the most indecisive person in the world, about a week and a half ago I decided I was going to grow my hair long again. The next day, I was booking myself into the hairdressers to get it all chopped off. 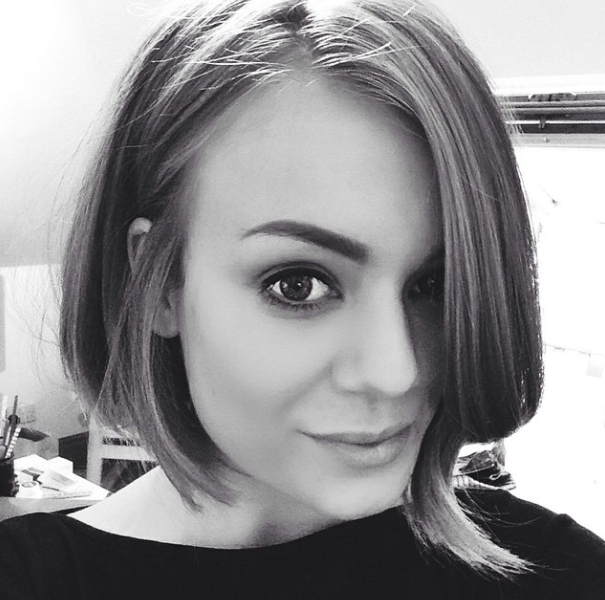 My hair had grown past shoulder length and was irritating me, so felt like I needed a change. I was feeling a bit underwhelmed with my current hair salon and after reading a few reviews, booked an appointment at Mawson & Co in Winchester. I went in, armed with a couple of photos of the kind of length and style I wanted and got it chopped! I honestly cannot rave about this salon enough, it was lovely, no one seemed snobby (unlike my previous salon) and it was such a brilliant environment. Honestly, amazing. I am so happy with the end result and wish I was able to style it like the hairdresser (Rachael) did (the above photo was taken straight out of the salon). Their customer service is brilliant and will definitely be going to this hair salon for the foreseeable future! 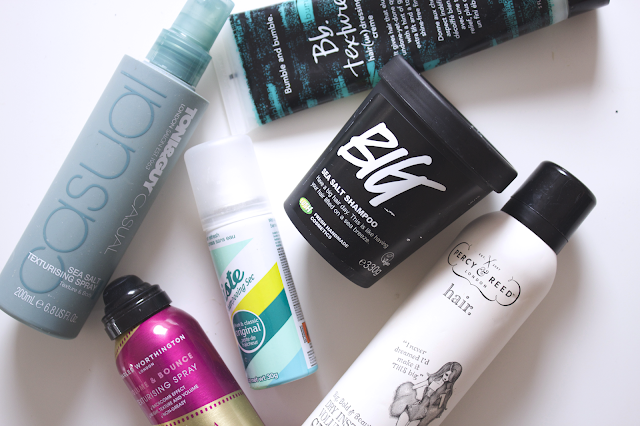 On to my favourite styling products, my favourite shampoo is the Lush Big Shampoo (£12.25). This is a sea salt shampoo, the texture is quite strange to begin with as there are large chunks of salt and it feels strange putting it into your hair. However it leaves your hair with more volume and texture as well as leaving it easier to style. When it's still damp I apply a tiny bit of the Bumble and Bumble Texture Hair Creme (£22.50) which again creates more volume, texture and makes you hair look more tousled. The Toni and Guy Sea Salt Spray (£7.49) is great to use if you want even more of a messy look, although I don't use this everyday! Since getting my hair cut I have been wearing my hair slightly wavy and messy, I dry it with my hairdryer and a diffuser attached which gives it more of a 'bed head' look, adding volume and creating a lovely natural looking wave. Once I've done this I go over a couple of pieces with my hair straightener using the 'ribbon technique' (have I just invented this name? Basically curl your hair with your straightener!) to create a couple of curls. To finish my hair I either use the Percy and Reid Dry Instant Volumising Spray (£14) or the Charles Worthington Texturising Spray (£6.99) which adds body! Finally, if I'm having any problems with oily hair I will use Batiste Dry Shampoo (£2.99) which is my favourite dry shampoo! What do you think of my shorter hair? !